As the United Nations conference on climate change gets underway Monday in Paris, one temperature that will be on everyone's minds is 2 degrees Celsius (or 3.6 degrees Fahrenheit). Although it might not sound like a big number, climatologists predict that if the planet warms a total of 2 degrees more than its average temperature before the Industrial Revolution -- when humans started burning fossil fuels -- the results could be catastrophic. What could happen? Think events like greater sea level rise submerging the coasts, more pervasive droughts and wildfires, and plant and animal extinctions across the board. Scientists say this amount of temperature increase could leave us with a significantly different Earth. And unless something changes, we're heading in that direction: U.N. and U.K. climate analysts recently concluded that the Earth has already warmed by 1 degree Celsius, with 2015 the hottest year ever recorded. Yale economist William Nordhaus first defined the 2-degree benchmark in a 1977 paper, "Economic Growth and Climate: The Carbon Dioxide Problem." Since then, the figure has stood as a rallying cry for those advocating for cutting back on carbon emissions. For others, 2 degrees is still too high -- to allow the Earth to warm even that much would be dire for life on the planet. "Those who study the possible impacts of warming think that there is a threshold before we can start to get much more changed in the world -- like the flooding of low-lying countries, and things like that," said Eric Larson, a senior scientist at Climate Central, a nonprofit news organization that provides analysis and information on climate science. "Science has established for quite a while that we need to respect a threshold of 2 degrees, that being the limit of the temperature increase that we can afford from a human, economic and infrastructure point of view," the top U.N. official on climate change, Christiana Figueres, told CBS News in an interview earlier this fall. Beyond that, "we would be moving into exceedingly dangerous zones of abrupt interruptions to our economy, to our livelihood, to our infrastructure that frankly we wouldn't even know how to deal with." Moreover, she noted, "quite recently the insurance industry has come out to say that a world that goes beyond a 2-degree increase is not insurable." At the Paris summit -- known as COP21 since it is the 21st annual Conference of the Parties (COP) on the U.N. Convention on Climate Change -- delegates from more than 190 countries will seek a legally binding agreement to reduce global carbon emissions enough so that the 2-degree threshold is not crossed. Measures such as more fuel-efficient cars and households that rely more on renewable energy sources like solar power rather than fossil fuels would help. But Larson told CBS News that studies of the various carbon reduction pledges made by countries including the U.S. over the past few years reveal that if efforts move at their current pace, the planet will easily surpass that 2-degree benchmark . Various estimates project it could reach a disastrous 3 to 5 degree increase by the end of this century. Part of the problem of using the 2-degree threshold to spur progress is the fact that the figure sounds pretty insignificant to the average person, Larson added. "It's hard to visualize. I mean 2 degrees sounds like not that much, and for instance, climate change will vary depending on geography. The temperature change at the North Pole is going to be much greater than 2 degrees more," Larson said. Is the goal of holding temperatures to no more than a 2-degree increase even feasible at this point? Larson said yes, it is possible, but it would require nations to completely reorient how they approach energy consumption. "It would involve a major changing of the way we produce and use energy today and worldwide. I mean, let's just put in context that the average American emits about 18 tons of carbon dioxide per year. So, for us to get to a world that doesn't tip over 2 degrees and keep it there, we would have to do all sorts of changes that will be difficult for other countries in other places in the world that aren't at the same standard of living (as the U.S. and other developed nations)," he added. "To improve their nations' standings, those folks want to use more energy, which of course increases emissions. It's a big challenge." Larson said that to emphasize the importance of staying below this threshold, it helps to have visceral reminders of the costs at stake. For instance, look at the World Wildlife Fund's 2013 Australia initiative, the "2 Degrees Project." Hoping to raise awareness about the temperature's importance, the WWF reported that if global temperature rose between 1.5 and 2.5 degrees Celsius, about 20 to 30 percent of the planet's animals and plants would disappear. To drive the point home, WWF-Australia cited iconic examples of the continent's biodiversity -- from the Great Barrier Reef to koalas -- as life forms severely at risk if temperatures continued to rise. So, is it time to be nervous about progress to stay below 2 degrees? Are we already too late? Well, you could look at as a glass being either half empty or half full. "It depends on whether you are a pessimist or an optimist. I mean human ingenuity amazes one all the time. We can send a man to the moon, we can develop computers that are twice as fast as they were months ago," Larson said. "So, if we take that ingenuity and build a new style of power plant, switch our car fleet over to electric vehicles -- well, then those sorts of changes take a long time to filter through all of society, and on top of that you have competing desires of the developing world to achieve a certain standard of living." We've gotten used to living with a great deal of unnecessary waste, he noted. About 95 percent of the energy needed to light a conventional bulb is lost. It starts with one unit of primary energy, like coal or natural gas, and by the time it goes through all of the series of conversions needed to produce light, only five percent is actually put to use. So there's plenty of opportunity for improvement. The U.N.'s Figueres points out that making such changes is becoming much more affordable, and that nations and industries increasingly see the economic advantages of investing in clean energy. "Renewable energy technology, in particular solar, have come down in their cost remarkably. Solar is 80 percent cheaper, 40 percent more efficient" than just a few years ago, she said. "In the United States there are two times as many jobs in renewable energy as there is in coal ... Where you see the growth of job creation, that is where the future is." 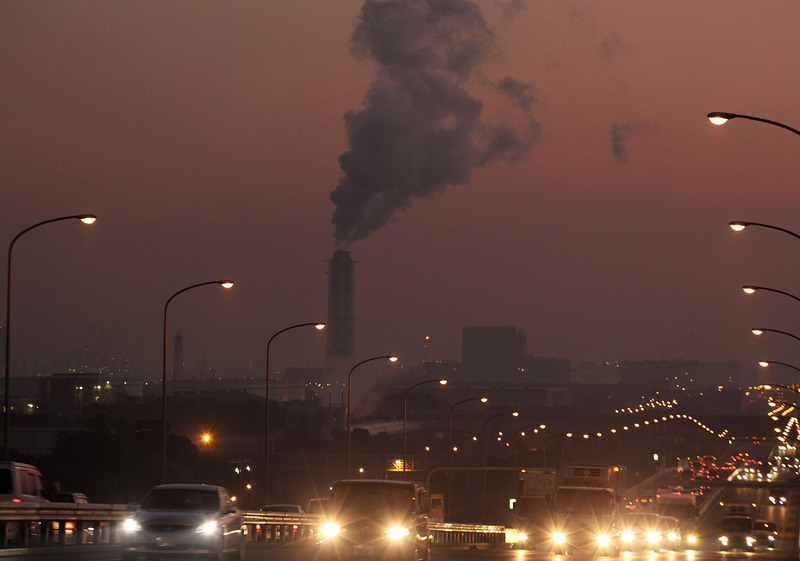 Scientists have been unsure when modern society is likely tip over that 2-degree mark. But those concerned about the state of the environment are pinning great hopes on the Paris talks. "I think in some fashion, what comes out of the discussions at the climate meetings should be a communication among all over the world that carbon is a pollutant, and essentially, like all pollutants we have traditionally come to know and love and use, it is something that will be harmful. You want to -- need to -- minimize it," Larson said. "There's so much obfuscation out there and untruths floating around. Out of the talks it would be great to see people realizing we are all in this together -- everyone has to be a part of cutting (carbon) emissions."